The Rally Pro X-Strong Handguards are Acerbis’ offering designed to give your hands outstanding protection from the heaviest impacts during the most serious riding. The main body of the Rally Pros are high-impact nylon composite shields wrapped around a hard anodized inner beam that supports the entire length of the handguards. With materials and construction this robust, you get plenty of room for levers, cables, and movement, all while receiving protection that covers all your controls and won’t bend or rotate during a crash. The Acerbis Rally Pro X-Strong Handguards also come in an array of colors to best match your bike for the perfect look. What can I say, if u wanna put crap on ur ride, then this kit is for u! First time u drop or ping some rocks or trees flyin' thru those there trails, u'll have to replace these here Acerbis. They are complete junk! BUY TUSK, much better value and durability! Best hanguards I've had. go on easy with just a few tools, and seem very secure while offering great coverage without being too bulky. These are my favorite hand guards. They are strong, look clean and sleek. My son and I both use them. I highly recommended. Highly recommend. Super fit & the color match to the Yamaha blue is spot on. Before Acerbis, I had a pair of Cycra that did not fit the bike, even with purchasing the additional longer hardware, and the color match was terrible. Best bark busters out there! I installed these on my 2016 Honda XR650L and I love em. My only complaint was the instructions are pretty much the back of the package and are not very well explained.... but if you're mechanically inclined you should be able to figure it out in no time. Such a great set of hand guards. A bit of a challenge to install, since there will inevitably be a bit of adjustment between ideal lever rotation and handlebar mount placement. But once they're on, they're indestructible. On my third set and the fit is awesome, easy to install, and based on my set on another bike they should last many years. I have yet to brake a lever or hand with these hand guards. Put them on all my bikes. Bought the rally type handguards without the metal bar and they were OK but not that great. Fell once on a trail and my front brake lever broke. Went to Perry Mountain Tower Dual Sport Rally and fell a few times. No broken levers...just a broken ego. You can count on these to protect your hands and levers. These are excellent handguards. They fit very well and provide good hand coverage and protection. Very high quality. They look great. Installation is straight forward. With ODI grips, you have to grind-off the end of the grips. I used a Dremel tool with satisfactory results. I love these bark busters! Protects your hands, levers, and they look super slick. Installing them on an ATV can be a challenge, so I highly recommend loose fitting EVERYTHING including levers, thumb throttle, headlight/kill switch, and the guards. Then spend the time to make sure everything works they way you like before cranking everything down. I installed these on an 18' Raptor 700R with Tusk 30mm bar risers and Pro Taper SE ATV Mid Bend bars. The cross bar was almost an issue, but I tend to like my levers facing downward at a pretty steep incline so I was able to mount the inner mounts to the underside of the cross bar. Worked beautifully! I Alsop purchased the ATV adapter kit from Acerbis but didn't end up needing it. I did have to "curve" the inner port of the aluminum bar for the left side to mount flush, but that was as simple as wrapping the end, clamping in vise and giving it a tug. 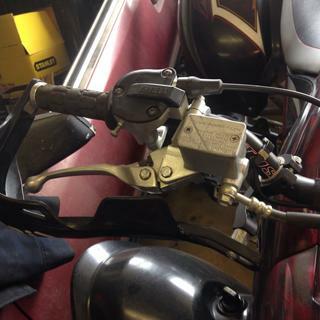 Accompanied with the parking brake lever angle kit, everything just went together with minimal effort. The only thing that would make these guards better is if the plastic portion was replaceable. I used to swear by these years ago when I was racing. Always high quality, installed great, no issues. I've been running Cyrca recently. I purchased a new bike and decided to go with the old trusty Acerbis. Boy was that a mistake. The build quality on these has gone so far down, it's incredible. The mounting hardware is worse and more flimsy then the junk you get on eBay from China. Guess I'll go back to Cyrca. Get what you pay for I suppose. The left side bent into the clutch lever and prevented it from moving properly first time I dropped the bike. The right side only lasted until the second drop. Ended up taking them off mid ride to maintain use of both clutch and brake levers. I've had these bark busters on my last three bikes. I ride a lot of single track and these are great for saving your hands against trees. Great fit and function! The blue matches the yz blue very well. Wish they still made the clear ones . 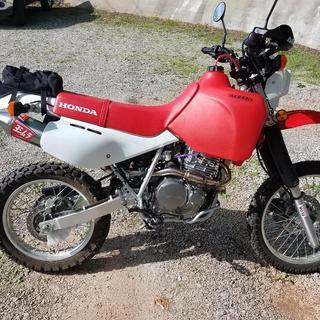 Aside from a few slow-speed side-falls and branch bashing I got to test these at speed with a decent 4th gear get off on a fat DR650 that send the bike sliding down a dirt road with enough force to twist the forks and bend the oil cooler guard. The Rally's held up fine with minimal scuffing and no cracking or breakage. Great design, although now that winter is coming I do wish I had gone with one of the larger-coverage versions that offer more wind coverage for highway use. If you're riding primarily dirt and/or hot areas these are great! So let me start out by saying that I think these guards are the best looking ones out there. They're also probably fine for a lot of people. They do a good job at protecting from branches, roost, and minor tip overs in soft dirt. However, if you are hard on your bike, ride rocks, or just want a super tough guard then these are not for you. I DESTROYED them in 10 hours. Completely mangled and unusable. Now let me say I ride a lot of rocks, and rock faces. It's not uncommon for my bike to go tumbling down a 10ft rock face. Unfortunately the issue I was constantly having was the metal bending into the throttle tube at any slightly hard rock tip over. I ended up getting the cycra probends and they are indestructible! 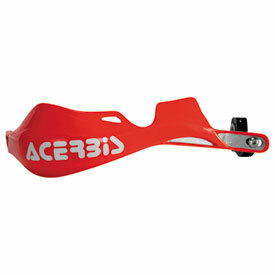 These acerbis guards are probably fine for the average putt putt trail rider, but if you're an abuser go with the cycra probends! These are rock solid hand guards and look great. Pretty easy to install, however I did have to cut the end of my throttle tube off. No big deal. Great protection on the trails. i put these on my sons crf250r & they look sweet. i got the black ones cause we blacked out the bike with acerbis plastics. also handgaurds are a plus on any dirtbike to keep grips & controls fresh when you tip it over. These are better than I expected. The plastic is thick and strong I have dumped my bike multiple times in rocks and no breakage yet. Be aware when you put the throttle side on make sure your throttle moves freely. Awesome. Save hands from branches and other stuff. Reccemmend for trail riders. Easy install. COMPACT, STRONG AND NOT GAUDY! 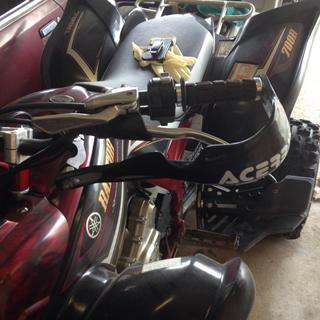 I LIKE THE SLEEK LOOK TO THESE ACERBIS RALLY PRO X STRONG LEVER / HAND GUARDS, ALSO VERY DURABLE BUT MALABLE, IF THEY GET BENT U CAN BEND THEM BACK EASY WITH A VICE AND HAMMER, I.E. IF AND WHEN YOU GO DOWN THEY GIVE SO YOUR BARS DON'T GET THE IMPACT AS MUCH. A GOOD LOOKING, GOOD AND SIMPLE DESIGN. These handguards have been through heck and back and still look like they did on day one. Saved me from a lot of broken levers (and possibly hands). Needed for anyone taking their bikes in the woods. Wouldnt ride without them! Tried and true toughness. Relatively easy to install. One of the mounting brackets was not milled deep enough so a washer had to be used. Will fit a raptor 700. Great guard , little hard to mount on an arc. I've bought the cheap bar with no plastic in the past and it honestly did just fine for less than half the price, but I wanted to look the part this time and opted for the Pro X-strong and I gotta be honest, they match the color perfectly and look great. Durability, yes, broke 2 clutch handles in 5 days before these, raced a harescramble and probably went down 8 times, no issues. The best, I only use these on all my bikes! In over 10 years I have only ever broken one after a severe crash and straightening in a vise. Bought these with no intentions of protecting hands, but for full protection of levers and handle bars. Very satisfied so far, as my son has taken a couple of spills out on the trails. Solid and durable product, and I highly recommend to everyone. Just bought another bike, and will be ordering more soon!! Went for a drop and slide on the trail with these installed. They did the job of protecting my levers. No damage to the guards except a bit of a scuff on the plastic. I was a bit hesitant installing these after reading some other reviews but I can give them my seal of approval and have bought 6 sets! I have used these hand guards on multiple motorcycles with great results. No hand guard is indestructible, but these hand guards will take a lot of abuse. I would recommend these to anyone. Got these in black and it looks awesome on my 2004 Honda cr 250. Really protects my hands when riding the trails. Highly recommend getting triple clamp adapter with this product, makes it even sturdier. Easy to install and good protection. Decent entry-level hand guards. Mounting was a little hard (they never really lined up well when clamping them down). Good coverage and ergos. However, didn't withstand hits very well, as they quickly got bent out of shape after only 1-2 hard hits compared to other guards I've used. I bought these hand guards because they are a lot smaller compared to other brands but offer good protection. A front on impact will not have any affect on these guards, but the second you drop the bike and apply any pressure other than that, they bend. I have put the pair I have now in my vice multiple times and bent them back straight. At the price, it is not worth it to keep replacing the guards because they are going to get bent. The price beats other competitors, which is why I have kept using these for now. As long as I can bend them back as well. I have had these for the past 10 years of riding and recently purchased a new pair after i hit too many trees. At least the hands are safe! Love them. They are a Great Item to have! The first one was a pain to install but the second one was much quicker. Seem like a solid bark buster. <br>These loosened up after first ride... re-tightened. Will see what they do on the next ride. Has anyone been able to fit these onto a Yamaha Raptor 700? Takes a little work but you can get them to fit. Mine are on a set of tusk fat bars. I have installed them on a 06' CRF 450X and they fit and ride correctly. Will they fit 2015 klr-650? BEST ANSWER: They should because these handguards are a 'universal fit' designed for multiple applications. As with any installation, you will need to cut the end of your grips off to allow the mounting lag to be inserted into the handlebar. Honestly, I can't be 100% sure, but as long as you have room on the bars for the inside mounting bracket to fit, then it shouldn't be a problem. I've seen plenty of on/off road bikes with full wrap around hand guards from different brands, so the Acerbis should work fine also, as all hand guards mount the same way. Have mounted these hand guard's on every bike I have owned and found them to fit all of them from a KX250 all the way to my 2015 TW200. Great product they can take a beating. they will fit 7/8 and 1 1/8 inch bars . which a stock klr 650 has 7/8 inch bars so yes. I have pro taper 7/8 bars on a 2015 honda crf450r. will these fit? Yes,, they will fit both 7/8 bars and 1 & 1/8" bars. The appropriate shims come in the package. Especially, these handguards come with shims for 7/8 and 1 1/8" bars. will this fit a 2003 DRZ 125? 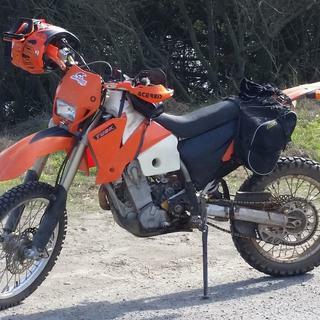 Yespecially, with no problems, unless you've cut your bars down for tight single track riding, then you may to do some bending on the handguards to make them fit. Yespecially, like some with cut down bars or different bar bends, you may have to bend on them in a vice and drill new holes, but not much problem. 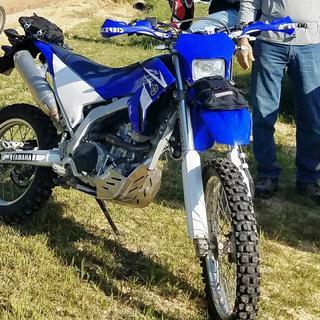 Will these handguards fit my 2017 Yamaha YZ450FX with stock bars? BEST ANSWER: yes, you'll need to fandangle the cables and wires a bit, but it shouldn't be a problem. They work great on my 2017 YZ250FX. Should be the same for the 450. Fit suzuki gsfsa as rain protection? These hand guards went on a 2014klr650 in about 20 minutes.They are of universal design so all the spacers and adapters were in the package.Just rode hours in heavy fog and they also help keep my hands dry.Very happy with this purchase. Would keep rain off your knuckles when moving but that not really what they are for. Do help keep your hand out of the wind. will these guards fit a 2005 400 kfx? BEST ANSWER: They should fit your motorcycle, but you didn't mention the type of bar you currently have installed on your bike. If they are Pro taper style bars these do come with the adapters to fit the tapered area of the bars. If they are standard bars with a cross bar, you need to measure the diameter of the bars to verify the fitment per the manufactures specifications. Also take into consideration, if your handle bars have been narrowed, you may run into fitment issues near the triple clamps and bar mounts. I hope this helps answer your question. Yespecially, as long as you haven't cut your bars down for tight single track riding, then you will have to either do some bending and fine tuning, or buy some inner handgaurd mounts that take the place of your bar mounts. Will these fit on a 2009 Kawasaki klx 250s? BEST ANSWER: Yes, these are fairly universal. They attach to the end of you handle bar and then close to where your handlebars attach. You might have to trim down your clutch and break lever to fit the gap. They should i put them on KDX and also a kx269f. Will these fit a 2012 KTM 690R with stock bars? BEST ANSWER: These literally fit all bikes with Fat Bars, and if you have regular handlebars, you can buy a kit. Yes, these handgaurds will fit. What's the length and width of the handguard decal "acerbis"? BEST ANSWER: The "ACERBIS" is not a decal, it's actually molded into the plastic itself. The letters are around 2" inches x 9"inches long. 5 1/2" length by 3/4" tall is the size of the logo. Which color matches the red on 2012 Honda crf450x I noticed there is 2000 cr red and just red? Jus to plain red matches perfect. Will these fit a 2019 crf450rx? Will these fit a 2014 ktm 65 sx? BEST ANSWER: No sorry these are for standard size bars, the best handguards for that bike would be the Minicross handguards. Will these fit my trx400ex? 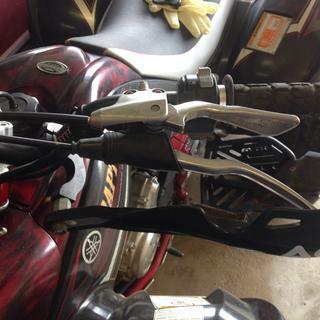 BEST ANSWER: if you are using stock handlebars yes, but you will need the atv extension part. The second photo in the 'customer gallery' shows the part you need.